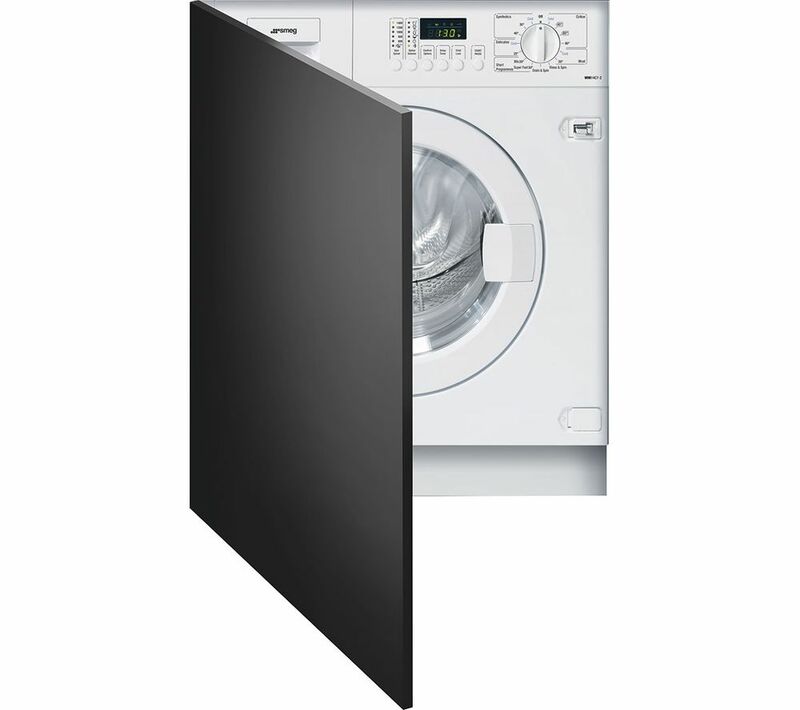 You can take advantage of off-peak energy periods or set a cycle to start whilst you're at work with this Smeg WMI14C7-2 Built-in Washing Machine. Featuring a delay timer that can be set in advance, you can enjoy great convenience from this appliance. Whether you are washing your lightly stained jumper or heavily soiled jeans, you can tailor your washing machine to every load with 15 pre-set wash programs. Including Cotton, Jeans, Wool and Delicates programs, you can rest easy knowing that your clothes will receive a powerful wash without causing fabric damage. Feel assured that your delicate woollen garments are protected with the specially engineered wool and hand wash setting. Approved by the Woolmark Society, this setting minimilizes ‘bobbling' and shrinking; so, you can expect a gentle yet thorough clean. It's a washing machine, I've had it two weeks, to early to say. overall depth must be more as it sticks out at least 5/8" than last machine, therefore unit doors are not in line.